If you had to bet your money on The Queen’s secret agent being a virtuous man you would do it without thinking twice, won’t you? Surely he would be a loyal servant, a man who keeps his promise and gets the work done. In addition to these qualities, you’d think that someone in the royal service ought not to indulge in behavior many would perceive as immoral and that includes drinking and gambling. Well, your presumptions will certainly see you lose the bet because James Bond is everything you think The Queen’s secret agent ought not to be. He drinks, he gambles, and he has a taste for a luxurious lifestyle. And despite that, men around the world have been inspired by his style and have tried to copy it. Not everybody has the time and luxury to be in a casino all the time but there are online games like the Bob Dealer’s live dealer poker where you can play as it suits you. His job requires him to fight very often and it is very impressive that he manages it with a three-piece suit on. By looking at his gentleman haircuts you can tell he grooms himself well. Here we have brought you some popular hairstyles that perfectly suit a gambling man. For many, the name James Bond is synonymous to Sean Connery. He was the first to portray Bond in the film Dr. No and set the tone for how future bonds should be like. Connery sported the classic side part which is suited to most faces. However, your hair needs to be cut to perfection otherwise the side part will look like a comb-over. To get this haircut to instruct your barber that the hair on the top need not be shorter than two inches, and the hair on the side and back be tapered down to about ½ inch. It happens every so often that you have to wait for your number in the salon. You went there to look like a gambling man so might as well spend that time to earn some winning at the online casino. Miami Dice is one of the best in the industry and they received some good reviews for the variety of games they have to offer. There is nothing fancy about Daniel Craig’s hair in the Spectre. It gives the look of a neat and sophisticated man who is ready for action. It is not worth messing around with a man sporting this haircut because you know there is nothing pretentious about him. He will do whatever needs to be done. 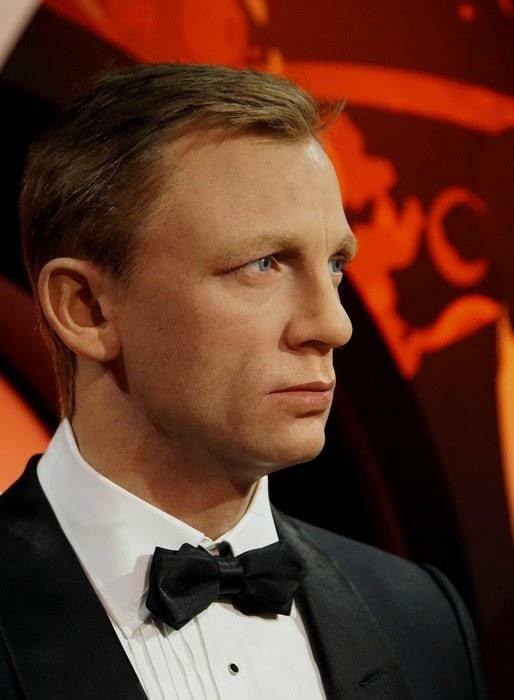 But not everybody is impressed with this less glamorous Bond. Just leave 1-2 inch of hair on the top, cut the sides and back shorter than the top so it blends with the hair on the top. The Crop Cut looks best when the hair is dry so it’s safe not to apply any oil. Another iconic portrayal of James Bond came in Tomorrow Never Dies in which Piers Bronson wore the stylish quiff hairstyle. This haircut works best for men with a defined jawline. And most men prefer it for the masculine and rugged look it offers. The quiff gives you the look of a man who means business and gives you an upper hand at a table.